The community feel of the Natter “family” is very different to other networks - we expect pictures to only enhance that. 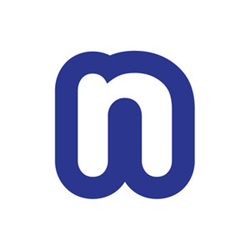 Natter, a spontaneous three word social networking app by Natter Three Words, LTD., officially released its highly anticipated v.2 in the iTunes and Google Play stores this week. Since its launch earlier this year, Natter has exploded with over 10,000 users and the rate of growth is rapidly accelerating. Users or “Natterers” can respond to Natters creating visual three word picture conversations. The sense of community and engagement between Natter users makes the platform fresh and unique. “Twitter and Instagram’s focus is posting and seeking admiration, whereas Natter is much more about a conversation,” said Neil Stanley, CEO of Natter. Natter’s recent addition of pictures in the updated version enhances the Natterer’s experience in a neat thumbnail format, while still maintaining the focus of the three-word post. Another unique feature incorporated in v.2 is the ability to add hyperlinks; rather than post the full URL, they appear as small hyperlink buttons to keep the overall look and feel simple and clean, as compared to Twitter’s link-shortening capability that still takes up character real estate in the user’s posts. “The number one thing our Natterers asked for is pictures, and we delivered this feature in a really unique way. The community feel of the Natter “family” is very different to other networks - we expect pictures to only enhance that”, said Stanley. In addition to its most recent updates, Natter was named "Entrepreneur of the Week" by the Duke of York on June 1st, 2015. The Duke of York launched #DOYEntrepreneur of the Week in January 2014. It aims to recognize and support some of the fantastic entrepreneurs in the UK as well as help develop a more entrepreneurial economy. Natter is available in the iTunes and Google Play stores as well as online at http://www.natter.com. Natter Three Words Ltd was formed in November 2014 just before the launch of Natter in December 2014. The inspiration for Natter was conceived at a party Neil Stanley attended wherein everyone was invited to submit three words that best summed up the host. Stanley deemed it an innovative idea and built a web based MVP in 2014 and tested it internally. After much praise from its users, Natter was then launched publicly.